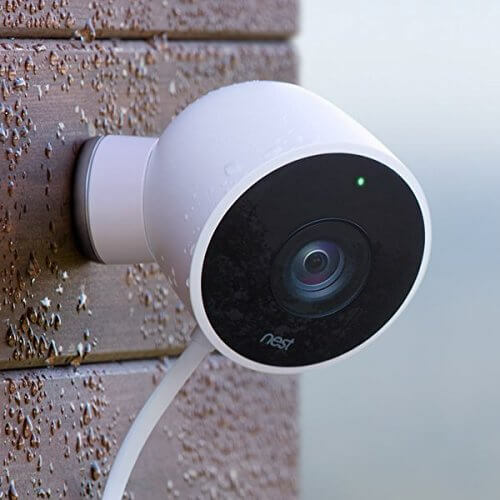 Nest Cam IQ vs IQ Outdoor vs Nest Cam Indoor vs Outdoor: Which Nest is Best? Nest just announced the new Nest Cam IQ indoor and outdoor with impressive specs. It combines some features and looks of its other security cameras. We recently had one Nest Cam, and now we have four, so it’s getting a little confusing. Let’s compare Nest Cam IQ vs IQ Outdoor vs Nest Cam Indoor vs Outdoor. These cameras have plenty of features in common, but there are some key differences worth noting if you are choosing which camera to buy. 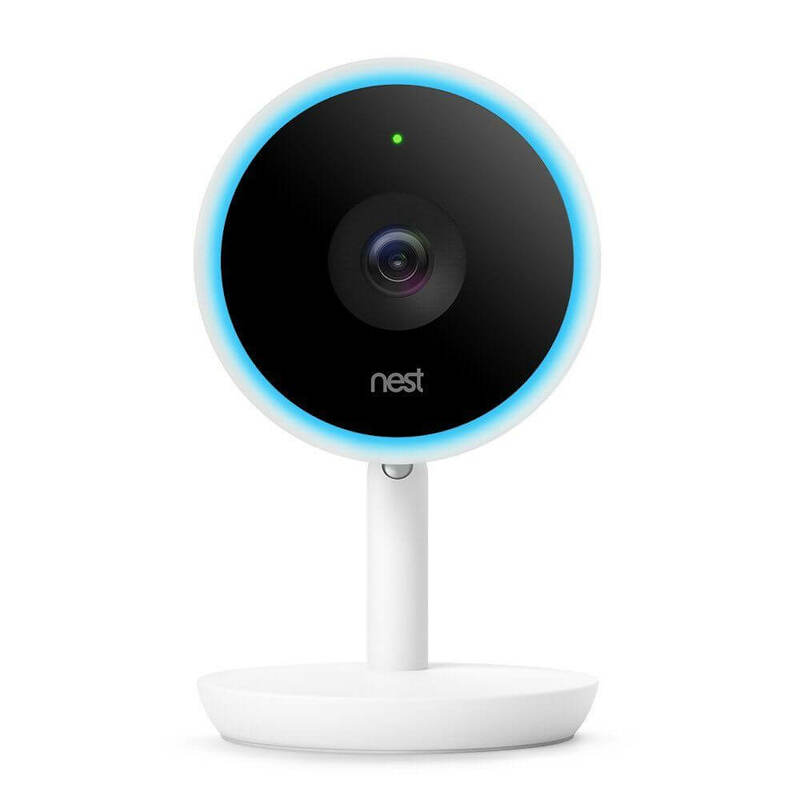 First, let’s start with the similarities between the Nest security cameras. Cloud storage. 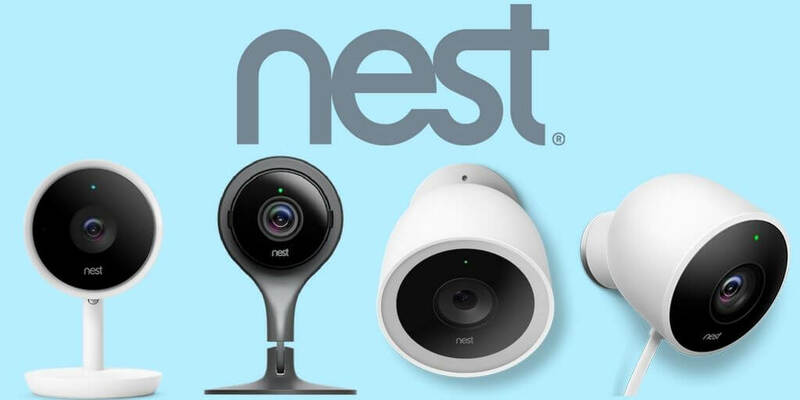 The same cloud storage options available on all Nest cameras. 3 hour snapshot history is included for free. 24/7 live video. Other cameras that depend on a battery may have a slight lag as you load up the live stream based on motion. Nest’s live stream loads up quickly and is shareable with others. Talk and listen. The built-in speaker and microphone on each device make them a great option for two-way talk. 1080p video with 130° wide angle view. This translates to footage with crisp HD quality. Activity alerts. Receive instant notifications for motion or sound detection. Geofencing. This is called Home/Away assist. It automatically turns alerts on and off based on your location. Expanded cloud storage. Plans start at $10/month for 10-day video history. Continuous recording. Since the cameras are plugged into a wall outlet, they are have continuous video recording (with a Nest Aware subscription) and live video offered. Person alerts. If you pay for the Nest Aware subscription, the cameras are smart enough to distinguish a person from an object. This reduces your false alarms because you aren’t alerted when the branches are rustling in the breeze. Activity zones. Select which areas to monitor and which to ignore. This reduces your false alarms; for example, you’ll only get alerted if someone actually comes to your door, rather than a car driving on the road in front of your house. When comparing Nest Cam IQ vs IQ Outdoor vs Nest Cam Indoor vs Outdoor, one consistency is that if you pay for Nest Aware, you get the added features listed above. Stronger specs. Its 4K sensor, 12x digital zoom, and High Dynamic Range imaging mean for clearer videos, making it easier to identify faces. Automatic zoom and follow. Nest Cam IQ can zoom in and follow strangers, keeping their face in focus. Familiar face and enhanced audio alerts. 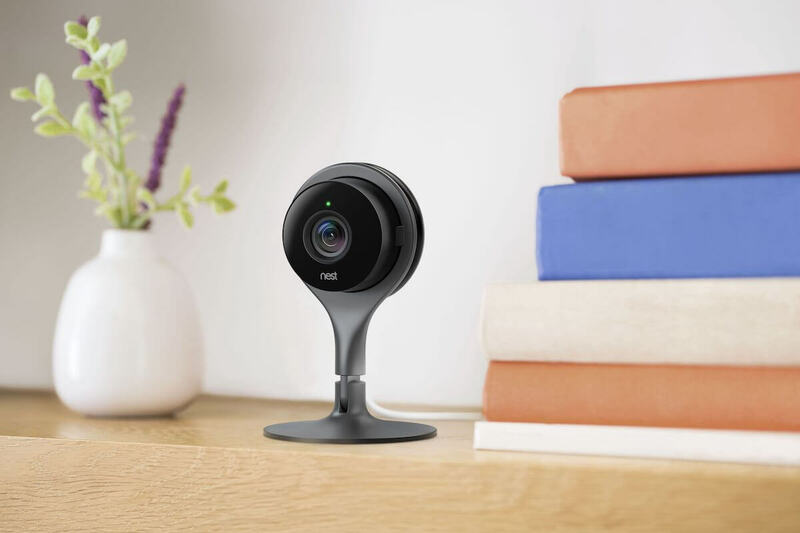 If you pay for the Nest Aware subscription, then Nest Cam IQ can recognize faces and alert you when they are within its line of sight. You can easily get alerted if your kids come home from school. It can also tell the difference between different audio events, like barking and talking. Three-microphone array. Combined with noise cancellation and a stronger speaker, its two-way talk is improved across the board. The speaker is 7x more powerful than the original Nest Cam indoor. 2x brighter LEDs than Nest Indoor. Blue light ring. This illuminates when the camera hears a voice. This is an excellent high-end camera for indoor security. It’s great for a family room area where you want to identify the family members and guests coming and going during the day. Its other specs are the same as Nest Cam IQ Indoor, including 12x zoom and daytime HDR, automatic zoom and follow, familiar face alerts with Nest Aware, the blue light ring, etc. Unique black finish, great for blending into surroundings. This camera is frequently used as a baby monitor. Read more in our Nest Cam baby monitor review. Weatherproof. Its camera, cable, and adapter are all weatherproof and designed for outdoor use. 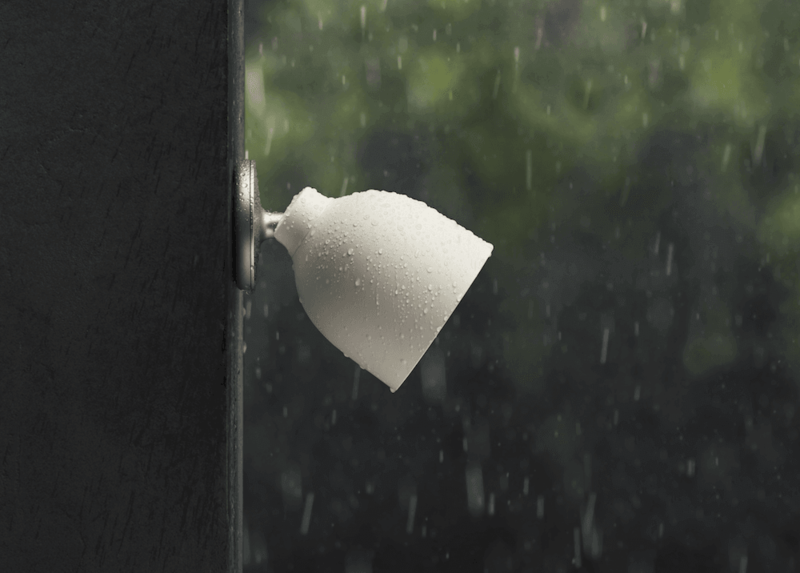 Nest Cam Outdoor is ideal for outdoor settings. Install it on your front porch and receive alerts when someone comes to the front door. Since it still needs to be plugged in, make sure it’s installed near an outlet. As you can see, the IQ versions of the Nest Cam have upgraded features for higher quality footage and alerts. They also have higher price tags, but the upgrades may be worth it if you are looking for impressive footage. That’s our comparison of Nest Cam IQ vs IQ Outdoor vs Nest Cam Indoor vs Outdoor. It will be interesting to see the Nest smart home integration grow as the year progresses. 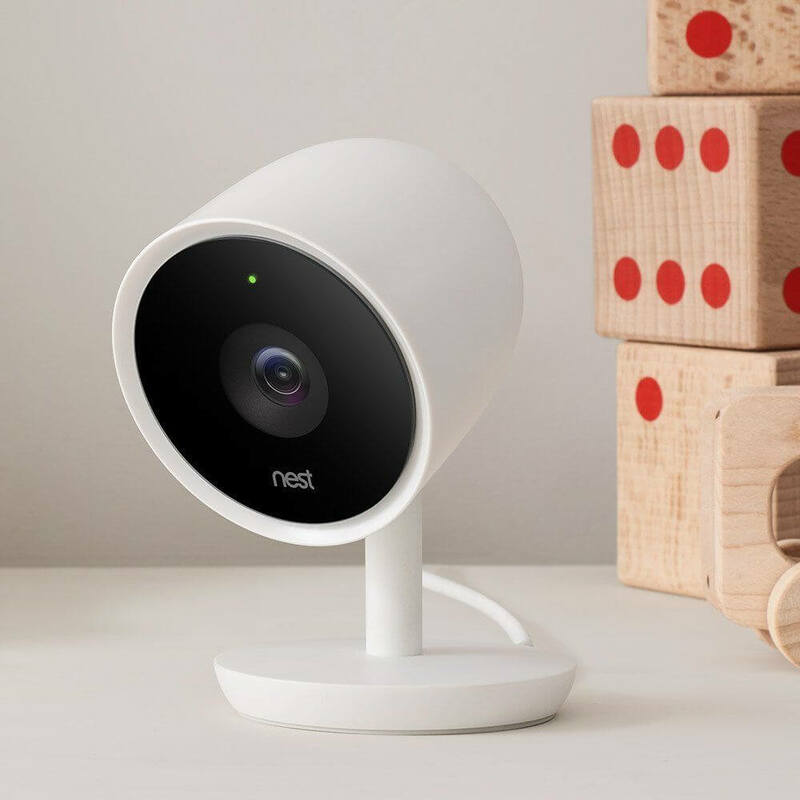 Nest had a quiet 2016, but they are already showing their intentions to grow during 2017. Editor’s Note: We originally published this in June 2017. Our writers updated it to stay current and accurate.